Charity Storage was initially conceived by Lance Watkins, who had first hand experience with the storage industry and with the reality television show Storage Wars. Watkins knew that primetime exposure could create a negative perception of the storage industry and wanted to highlight the positive elements of the industry. The concept was born to accept donations of cash and goods from auction bidders, tenants, local businesses and the community. Donated and abandoned items are placed into a vacant unit and the contents are auctioned off online, via StorageTreasures.com or in-person, with the proceeds distributed to local, national and international charities. We are grateful that Barry Hoeven quickly joined Charity Storage as a Co-Founder, bringing many years of both self storage and philanthropy experience to this endeavor. The late Barry Hoeven was a co-founder and President of the Charity Storage Board of Directors. Sadly, Barry passed away on June 16, 2016 after fighting a seventeen-year battle with kidney cancer. Barry was the Chairman of Westport Properties, Inc., and US Storage Centers, Inc. Barry also founded Kure It cancer research in 2007. Kure It raises funds to directly support kidney and other underfunded cancer research programs. Lance Watkins is a Founder and the conceptualizer of Charity Storage. Watkins is also a StorageTreasures Board Member, the founder and CEO of Storage Outlet and the CEO of StoreLocal. Robert Chiti is the founder and CEO of OpenTech Alliance, Inc., a leading supplier of self storage technology solutions. Robert sits on the Board of Directors of Storage Treasures, LLC, the California Self Storage Association and Charity Storage. He served on the Self Storage Association Board from 2014 – 2016, has published many articles and presents regularly at industry events. Lisa is an owner and manager of Barth Storage, a family owned business in Kenosha, WI. She is serving on many different committees for the SSA and is currently the “Past President” for the Wisconsin Self Storage Association. Shelby Beck currently serves as President of Business Operations at Extra Self Storage, overseeing 11 Self Storage locations in Northern CA and Northern NV. She has demonstrated excellence in team building and leadership skills while serving on the BOD for the Nevada Self Storage Association and guiding a group of over 25 Extra Self Storage staff for the past seven years. Anne Mari DeCoster has an extensive background in management consulting, having worked in numerous areas of both the private and public sectors. In 2002, Anne turned her focus to self-storage, and has served as Executive Director of the Arizona Self-Storage Association since 2010. Troy is CEO of AC Self Storage Solutions, a Newport Beach, CA-based company, owns or manages more than 1 million square feet of self-storage space. Troy is also a Managing Member of SAGE Insurance Servicing. He is involved with a number of charitable organizations, most notably Warriors and Quiet Waters, a Montana based foundation that takes traumatically wounded US Veterans on therapeutic fly-fishing trips. Jamey Fawcett is the President and COO of Accent Building Restoration (ABR). ABR has 15 branch offices in 10 states throughout the US, and has worked in the storage community for 24 years. They became affiliated with Charity Storage in 2012, becoming a Sustaining Sponsor at that time. ABR also supports Kure It and, as well as other charitable organizations that help the special needs community. Gordon and UCLA roommate Mario Feghali founded SpareFoot, a leading online marketplace for the $38 billion self-storage industry in 2008 while still in school. The company moved from Los Angeles to Austin in 2009 to join the Capital Factory business incubator, and in 2018 acquired Sitelink. 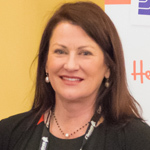 Sue Haviland, Owner of Haviland Storage Services and partner at Self-Storage 101, is a leading consultant in all aspects of the self storage industry. 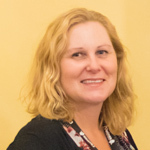 She has served as a senior faculty member of the Self Storage Association, taught certification courses for the SSA on Operations, Sales and Marketing, served on the SSA committee for Education, and also on the California Self Storage Association board of directors. Nancy is the V.P. of Marketing at Chateau Products which offers the self-storage industry high quality padlocks, latches and latch systems. She is also the Chair of the Self Storage Association Foundation Board of Governors. 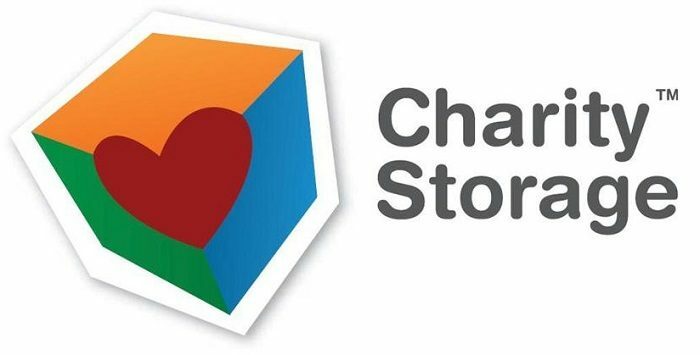 As one of our Founding and Sustaining Partners, Chateau Products is a longtime supporter of Charity Storage. Asad has spent over 25 years involved in many facets of Wildland Fire Management. His passion is education, facilitative learning and Fire-line Leadership Instruction. He has become a student of global knowledge and values. He and his wife created Project Enlighten to promote education opportunities for underprivileged youth across the globe. Asad is Project Enlighten’s International Project Manager, attending to the complexities of the organization and its programs. Brandon is a partner at PFG Capital. PFG has owned and operated over 40 self storage locations. PFG is also the operating company for a national tenant insurance program, Storsmart Tenant Insurance. 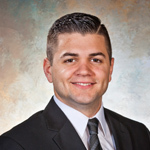 In conjunction with his duties at PFG, Mr. Snyder also serves on the board of the Nevada Self Storage Association and is an active member of the Self Storage Association’s Young Leaders Group. With a heart for philanthropy, Kerry made a commitment early in life to help those that could not help themselves. This resolve stuck with her through college, leading her to get her MS in Physiology and Statistics and working in the wellness field for many years. While raising her children, Kerry’s passion for helping others grew as she spent over 20 years volunteering with many different non-profit organizations. Ultimately, Kerry joined the Charity Storage team in 2013 where she can help make a difference one charity unit auction sale at a time. Mariela has always been engaged in the issues facing our communities, which led her to obtain a degree in Political Science from University of California, Irvine. Her current position with Charity Storage combines her passion for philanthropy with extensive experience in project management, marketing, business development, technical writing and graphic design. Mariela has always been dedicated to charitable causes, including the National Charity League, the Shea Therapeutic Riding Center and the Second Harvest Food Bank, and has strived to pass her compassionate approach to life to her three children. The Charity Storage Ambassador Program allows these committed individuals to represent Charity Storage at facilities and events to broaden our outreach. 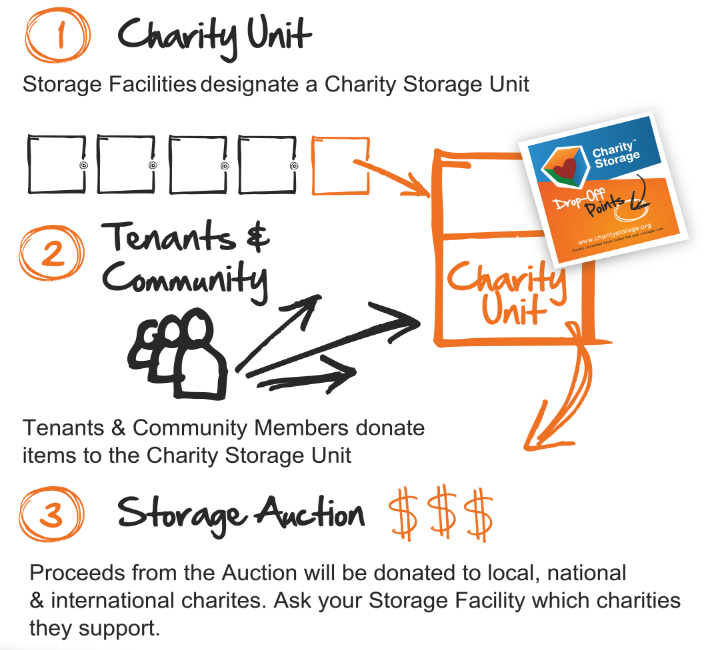 They have everything that is needed to familiarize owners, managers and vendors with the Charity Storage mission! We are so excited to have such wonderful advocates working on our behalf. If you are interested in volunteering as a Charity Storage Ambassador, please see the Ambassador Overview and/or contact us here.